Once upon a time in Burlington, there was a band called Envy. This was during the alt-rock era of the mid to late 1990s, a generation of local music widely and nostalgically regarded as a high-water mark in local rock. Led by vocalist/guitarist Matt Hutton and guitarist Sean Toohey, Envy were Queen City rock royalty, ruling with fuzzy guitar-scepters alongside the Pants, Guppyboy, Chin Ho!, the Fags and Wide Wail, among others. Envy were also among the more ambitious local bands of that generation. Hutton and Toohey moved to Boston in late 1996 and reformed/rebranded as the Red Telephone, shedding some of Envy's grit for a more polished and commercially viable sound. They scored a deal with Warner Bros. and appeared headed toward stardom, only to get lost in the major-label crucible. RT parted ways with Warner following their 1998 self-titled debut. They released two more records, the last, Cellar Songs, coming in 2001. Though they never technically broke up, the Red Telephone have mostly been on hold. Until now. On the recently released Places You Return, Hutton, Toohey (now based in Shelburne) and original RT members Pat McDonald and Mark Britton do indeed return to a place where buzzy power chords, intertwining guitar riffs and shaggy earnestness are alive and well. The Red Telephone's first album in 14 years is an unabashed throwback to a bygone era. And it's delightful. Darkness has always loomed behind Hutton's sticky hooks, in part because of his vocal rasp. That's softened some over the years. But it's apparent in subtler ways, too. Following the sunny jangle of opener "Come Outside" and the Cheap Trick-esque title track, we get a glimpse of Hutton's moodiness on "Under the Northern Sky" and "Peculiar Spring," tracks that cut the shimmery guitar haze with simmering tension. Continuing the seasonal theme, "Brink of Summer" is a meandering, melancholy ballad colored by misty, shoegaze guitar. The woozy "Gold in California" would seem to ruminate on the band's brief major-label stint. Ditto "City of Fools," though it's far more upbeat. The album's last third is highlighted by the REM-styled, mid-tempo standout "Snowbound" and the expansive "Days," two cuts that tweak alt-rock convention just enough to be both accessible and provocative. That was and is one of the Red Telephone's great strengths. In hindsight, the Red Telephone existed in a sort of alt-rock limbo in their heyday. They weren't quite as catchy as, say, the Goo Goo Dolls — with whom they toured a bit — or as gloomy as the Afghan Whigs. They weren't quite as offbeat as the Lemonheads, and never had the arty cachet of bands like Pavement. It's no wonder Warner Bros. never really knew what to do with them. But the qualities that major labels found puzzling are what made the band great. And those qualities remain blessedly intact on Places You Return. Welcome back. 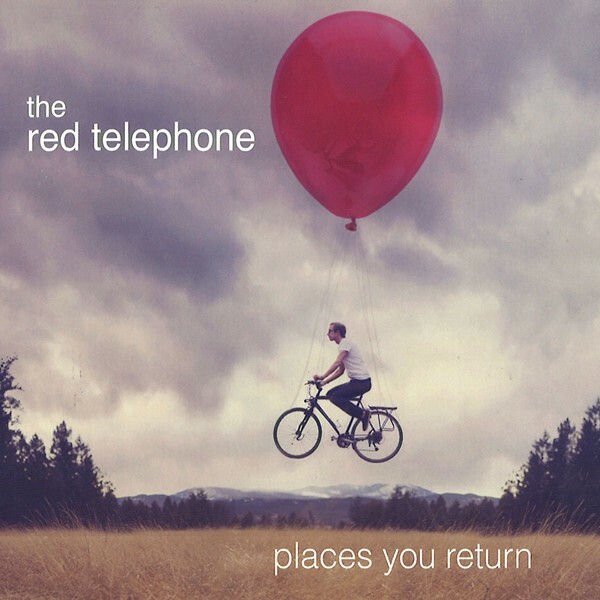 Places You Return by the Red Telephone is available at cdbaby.com. Soundbites: Scarface in … Barre?